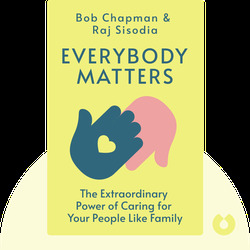 Everybody Matters (2015) chronicles Bob Chapman’s quest to find the best approach to business and leadership style. Traditional approaches to management often treat employees like cogs in the machine. 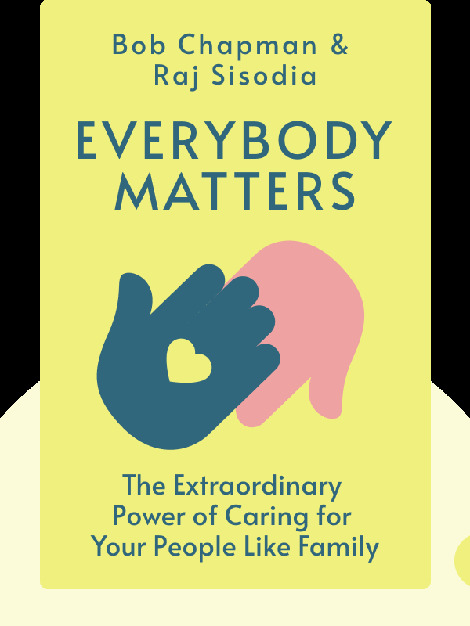 The authors explain that by caring for employees as if they were family, you can not only experience unprecedented success but inspire company loyalty and allow all employees to reach their full potential as well. Bob Chapman has been CEO of Barry-Wehmiller, a global manufacturing company, since 1975. Thanks to his leadership, his company is valued at $1.5 billion. Raj Sisodia is an author, corporate consultant and coveted keynote speaker. He’s the professor of Global Business at Babson College, and he also co-authored Conscious Capitalism with John Mackey, co-founder of Whole Foods.